When lines and wrinkles appear on your face and make you look older than you feel, dermal fillers can restore a more youthful appearance. 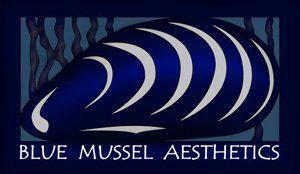 The medical aesthetics professionals at Blue Mussel Aesthetics in Juneau, Alaska, offer a variety of cosmetic injectables, including Botox® and the Juvéderm® family of fillers. They tailor treatments based on your specific needs and the areas of your face you’d like to enhance. Call today to schedule an appointment or request the next available time online. Dermal Fillers are gel-like substances that reduce the appearance of wrinkles and lost volume. The can smooth lines and enhance facial contours. Common areas treated with dermal fillers are cheeks, under eyes, nasal labial folds, lips, fine lines and more. As with any injection there can be discomfort, however the injections themselves last for only a few moments and are administered via a fine, sterile needle. The fillers also have lidocaine mixed in them to help with comfort. Blue Mussel Aesthetics also offers Nitronox (laughing gas) for pain relief with procedures for an additional charge. There is typically no downtime following dermal filler injections. Bruising, redness, swelling and tenderness are all possible. Dermal filler results typically last from 6-24 months depending on the type of filler used, the area treated and your individual metabolism of filler. How much does Botox/Xeomin Cost? Blue Mussel Aesthetics offers several different dermal filler options. Your Nurse Practitioner will give customized recommendations and form a treatment plan based on the area(s) being treated. When you’re ready to explore options for younger-looking skin with a variety of cosmetic injections, the team at Blue Mussel Aesthetics invites you to call to schedule a consultation or book online.